The time has come to read the far beloved graphic novel known as the Dark Knight Returns. Proclaimed as not only the best Batman story but also as one of the best comic books of all time. Does the tale really deserve the title? Before any further elaboration it must be mentioned this was my second time reading this comic book. Let’s face it, with so much buzz centred around DKR, every Batman fan should be obligated to read this ’till the very end if one likes it or not. After I read this for the first time my interpretation was a simple, “Alright, I see why back in its time this was so praised”. The comic book itself is filled with so many memorable action sequences, dialogues, monologues and imagery to a point where it feels iconic. 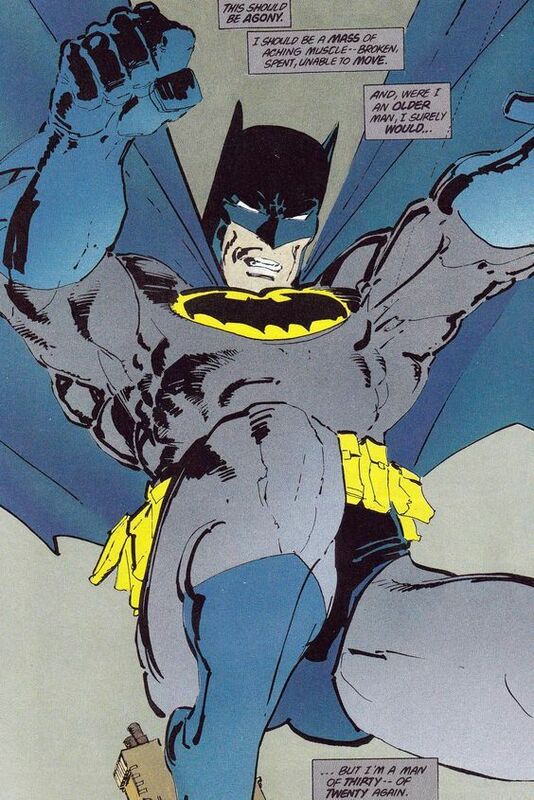 Without this story Batman might have been different today although Frank Miller’s predecessors showed they didn’t require him to be the one to break through the mature ice. It was a very causal read, so how do I feel now? No change in rating would be the answer everyone would expect, but over the past few years since I originally read this arc my feelings toward certain things about the world matured and so did my appreciation for this classic. This time around I felt more connected to Batman. In the beginning we see Bruce in a much older and different state than the reader is always used to. The entire world changed, not just Gotham. So does Bruce Wayne and the Batman, but their cores still remain the same. It’s probably silly to say someone can connect to a being like Batman, but things constantly change in our world too and change is hard to accept. Sometimes we don’t wanna accept it for the right reasons. I see myself in that type of spot which understands the consequences, conflicts and their outcomes more than ever before. The thought occurs to me, what if we lived in this world? What if it’s the things I love the most change for the worst? As with every coin there are two sides. One that is unharmed and the other that is scratched up. This is that scratched up part. The character known as Carrie Kelly was still a huge disappointment bringing in little to offer. A character I despised was the Super Mutant leader who was super bland and boring. That could be said about the entire Super Mutant following which was this annoying parasite popping up throughout the chapters. The pacing could have been adjusted from issue two to three because the transition between the installments was very awkward. Frank Miller also pencilled as he wrote. Many panels look “house-frame” worthy but that might not have been the case if the excellent colourist, Lynn Valley, wasn’t there to make these scenes truly come to life. Having this said the colourist can’t save the entire graphic novel as sometimes Frank Miller becomes lazy with his drawings. Unlike most people the big and muscular postures didn’t bother me, just the lack of attention to detail in a lot of frames. Characters sometimes really end up looking deformed. The Dark Knight Returns is a story worth everyone’s time. If you haven’t read it yet, you might want to before someone calls you a fake Batman fan. If you didn’t enjoy it I suggest you read it again as the perception may change through the reader’s experience. 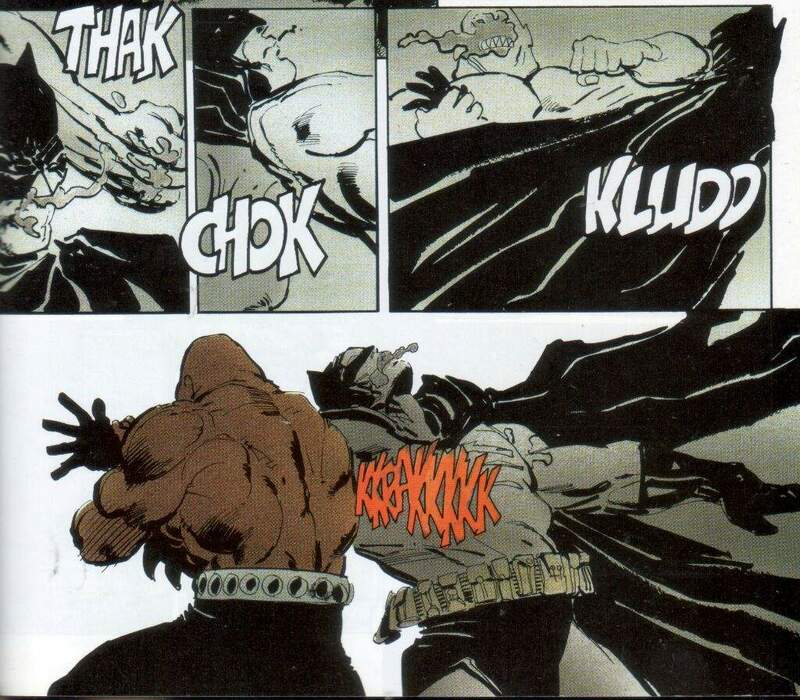 I earlier said how the Batman we all know and love didn’t depend upon Frank Miller, but comic books do. It loudly proved comics can be a competing form of art such as motion pictures, TV shows, video games and other. 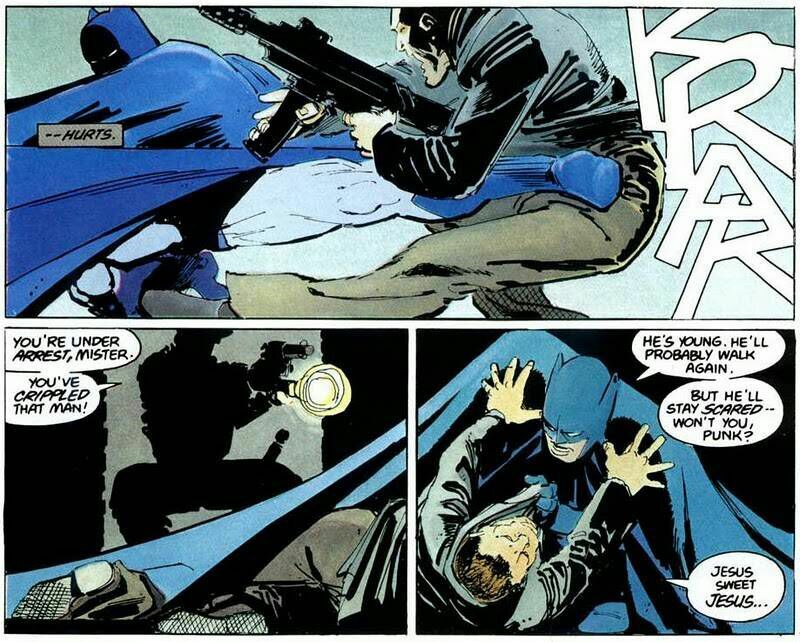 Frank Miller did all that by understanding the world he’s build, the character changes, their brilliant interactions and management to still keep those different behaviors coherent to the recognizable figures. By the end of it all the story leads into one of the most exciting territories in comics which even cinema cannot mimic. 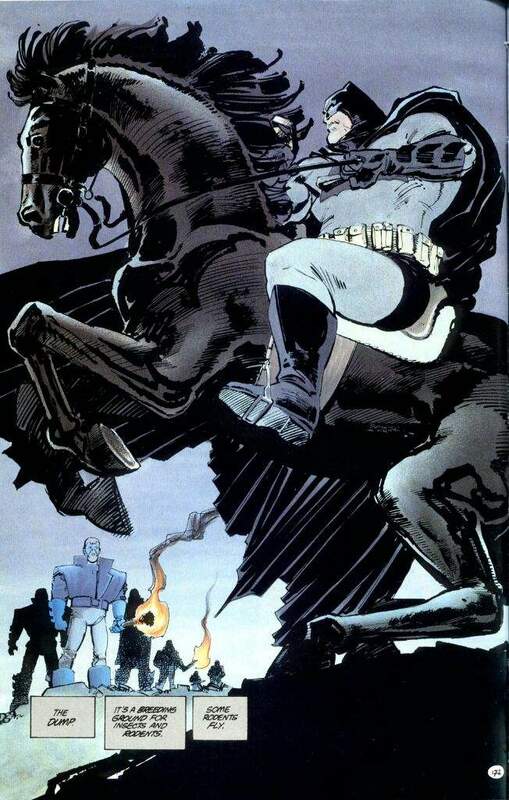 For always The Dark Knight Returns is something very important to DC Comics and entertainment as a whole. There are problems within the story that keep reappearing to annoy me forever but that’s okay since the next time I read DKR I will have another new intake. The most importance of Miller’s work is how he created text and panels that can feel different to the same individual over their lifetime. This no longer feels like just a success for the industry, but a success to me. Eight out of ten.